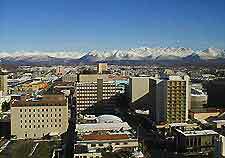 Aerial view of the cityscape, showing the mountainous scenery in the distance. 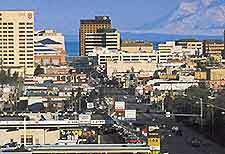 View of the city's downtown district. 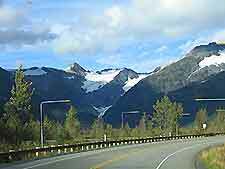 Further view of the downtown area. 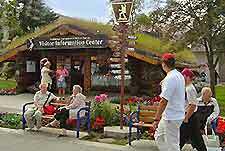 The city's Visitors Information Center, with its unusual grass roof. 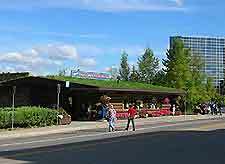 Central lake at the popular Alaska Native Heritage Center. 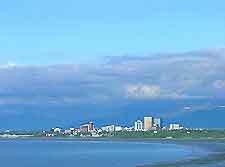 Distant view of the city's skyline and surrounding area. 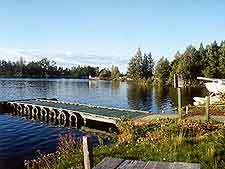 View of Lake Spenard, close to the airport. 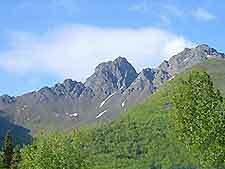 Mountainous scenery, surrounding the city. 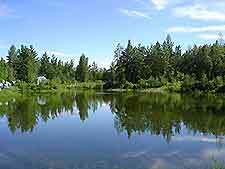 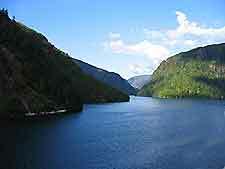 Nearby Misty Fjords, a popular excursion offering excellent, cruises, floatplane tours and fishing. 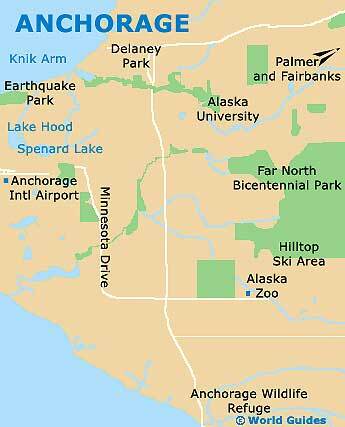 Major roads and highways surrounding the city, making it an important transport hub in Alaska.